A prophet sees the Vision of others and not that of himself? Senator Professor Ben Ayade is a man with such a vision for his district and fatherland? His policies are geared towards the welfare of the poor people. His programs and structures on ground reveal that he has a vision and a dream for a better society. Many may argue what are we talking about? Others may say this is a political strategy and a campaign tool? The issue we are discussing here cannot be discarded and is not a misrepresentation of the truth of reality that we need a man of vision come 2015. We need to separate political thinking, selective judgment from active performance which Senator Ben Ayande represents. A prophet might not be respected in his home town, but in other cities, his works are being respected and speaks volume. What is good for the rich is good for the poor? This is our concern for Senator Professor Ayade's housing bill. This was a bill to help the masses of Nigeria realize the dream of living in a befitting house. Why was this bill rejected in the National Assembly because it was not for the interest of the bourgeoisie? The presentation of this bill came to many as a surprise because it was specifically meant for the poor Nigerian masses that are facing one social problem or the other. This bill was to create a benefit for poor Nigerians for affordable and descent housing as done in many civilized countries around the world. Senator Professor Ben Ayade with his people's oriented programs to help the entire Nigerian people had the courage to present such a bill before the august house. His vision for a social housing scheme is not only for the people of Cross River State, his senatorial district, but the generality of the entire Nigerian people that have been perpetually marginalized into the less privileged and poor class structure. What was the aim of Senator Professor Ayade's bill? The bill was to provide a social housing scheme as it is the case in other developing countries of the world, which shall construct, maintain and distribute houses to no-income, low income and lower- medium income groups in Nigeria under the supervision of the federal ministry of lands, housing and development. Why did the government reject this bill? Simply put because it was a peoples oriented bill that concerns the entire poor people in Nigeria. It was a bill that would have created a new image and hope in the life of poor Nigerians. The government also rejected this bill because it included funding, feasibility of the scheme and conflict with existing laws where the rich gathers all to themselves. The key question to be addressed in the next election in Nigeria is that shouldn't the populace vote a man with this type of mind set to office where the concern of the poor is top in his agenda; one of the biggest challenges in Nigeria today is housing and we have enough resources to address this problem if the political will is there. We must be realistic about this because the federal government can get money from the oil and gas industry to finance this project. This idea is the basic function of any responsible government to do for his people. We must find a way of helping our poor people and minimize spending our resources on projects that does not attract and benefit the common man in Nigeria. The people's oriented programs of Senator Professor Ben Ayade cannot be overemphasized. 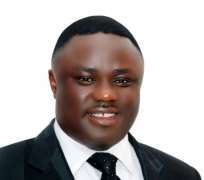 Senator Professor Ayade is a law maker that has impacted many lives within a short time in the history of Cross River State, a new breed and a future for our state.